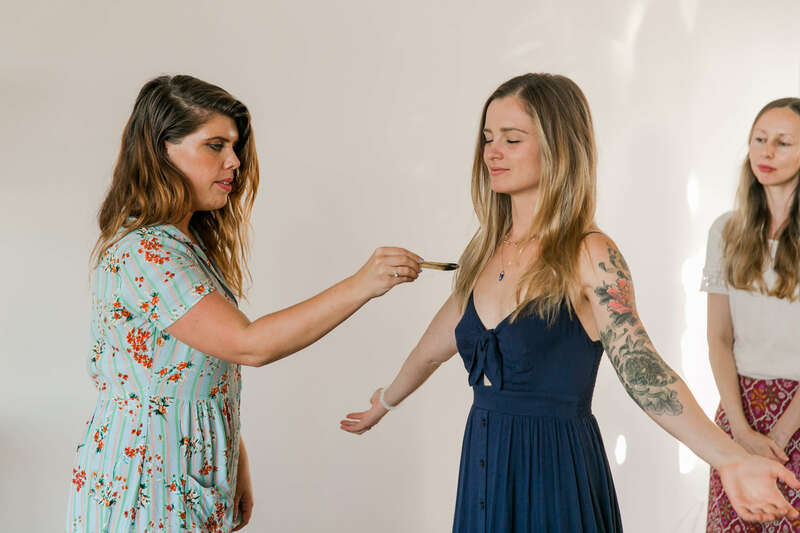 Getting married is a sacred rite of passage, and one I wanted to honour in an intentional way. The week before our wedding, I gathered with my closest women to celebrate my upcoming marriage. I had no desire for a traditional bachelorette celebration. 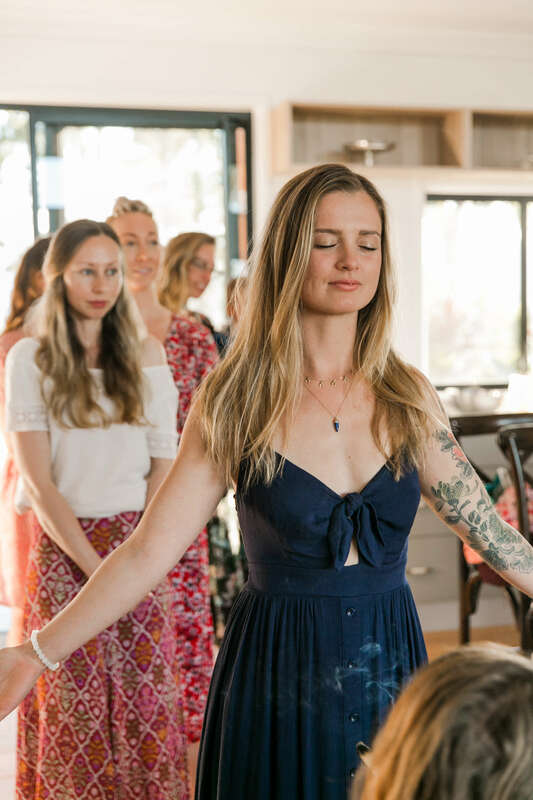 Instead, I envisioned a sacred circle where these beautiful women would get to connect with one another, and where I could celebrate becoming a wife (instead of mourning the end of ‘single’ life). 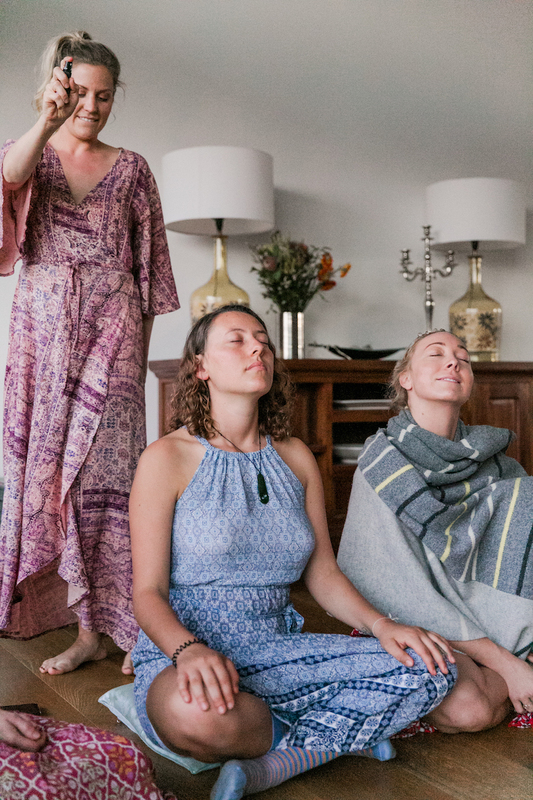 As part of my work, I host blessing ceremonies for mothers-to-be, and I love seeing women celebrate that rite of passage in an intentional and sacred way. Menarche, marriage, motherhood are all powerful initiations into a new phase of life as a woman. These transitions invite us to be reborn; to release one identity in favour of expanding into another. Blessing rituals are powerful. They allow us to release any fears or resistance and to feel deeply loved and supported as we move courageously into the unknown. 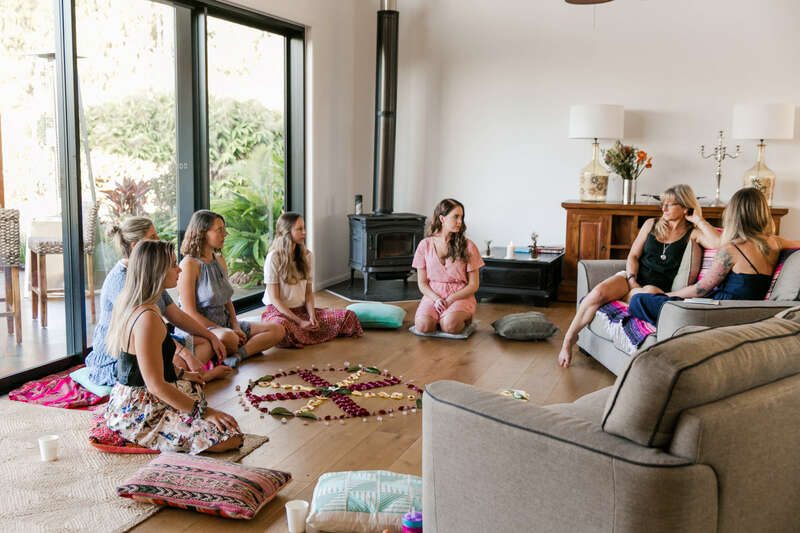 Time and time again, I’ve seen the transformative and nourishing energy of mother blessing circles, and I wanted to create a similar environment for my pre-wedding women’s gathering. 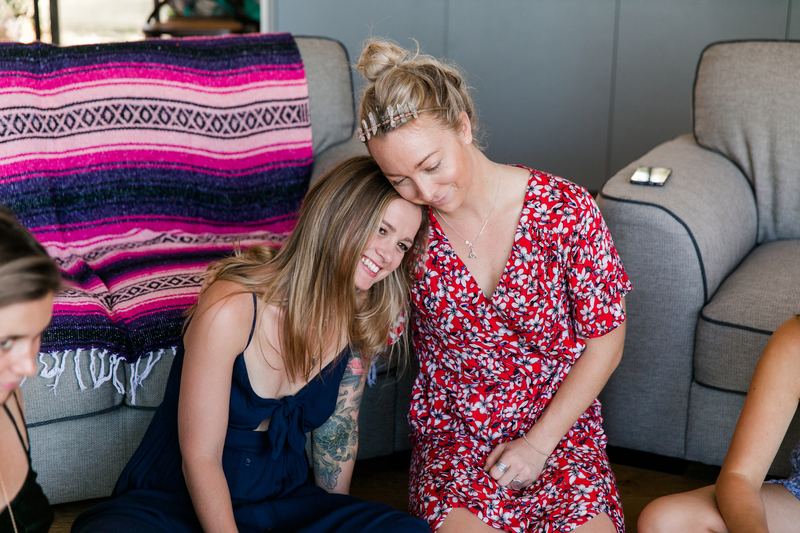 My intention for this day was to create space for sacred connection between the women I love most, and to receive. It’s so easy for me to hold space for others, to be the one in charge, and to be super driven and action-oriented. On this day, I challenged myself to soften, and drop into a state of receptivity for the entire day. I hired a beautiful AirBnb out in the Gold Coast hinterland. We kicked of the day with an 80s dance class led by Jo from Passada Dance, which was SO much fun (If you’ve been following me on Instagram lately, you’ll know I’m ALL about the dancing at the moment!). Then we headed back to our Airbnb for an afternoon of sacred celebration. Kalya created the most divine afternoon tea, dinner and dessert feast I’ve ever had. 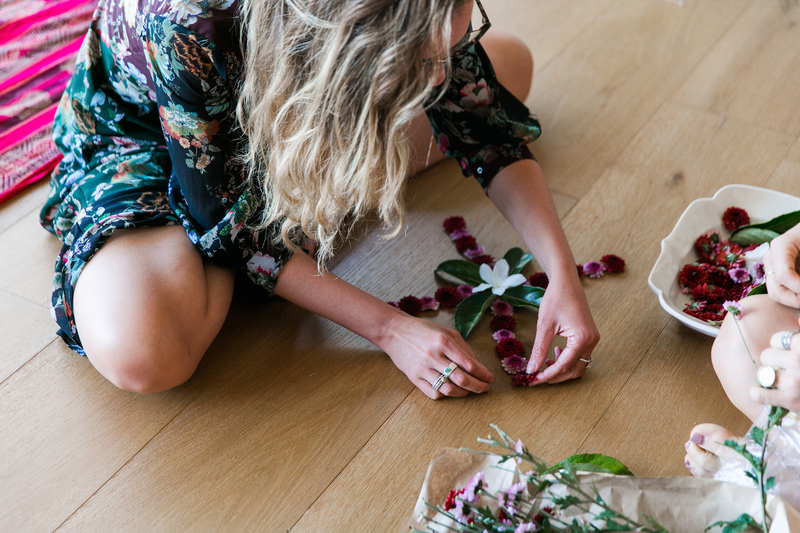 Meg led a beautiful flower mandala co – creation, and whipped up a delicious batch of cacao. 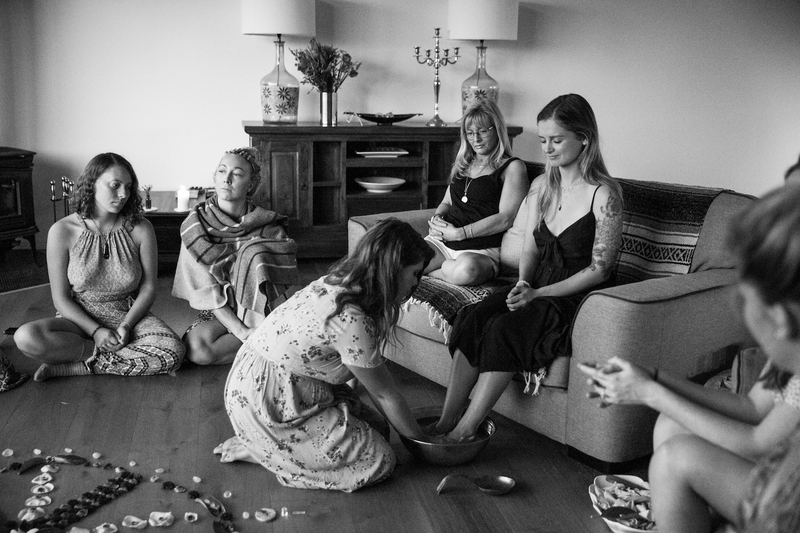 Jenna led the most sacred, beautiful bridal blessing circle. Shannon created the most divine aromatic anchor for us all. And of course, Michelle from Eyes of Love Photography captured these magical memories on camera. My bride blessing celebration was one day I’ll never forget. 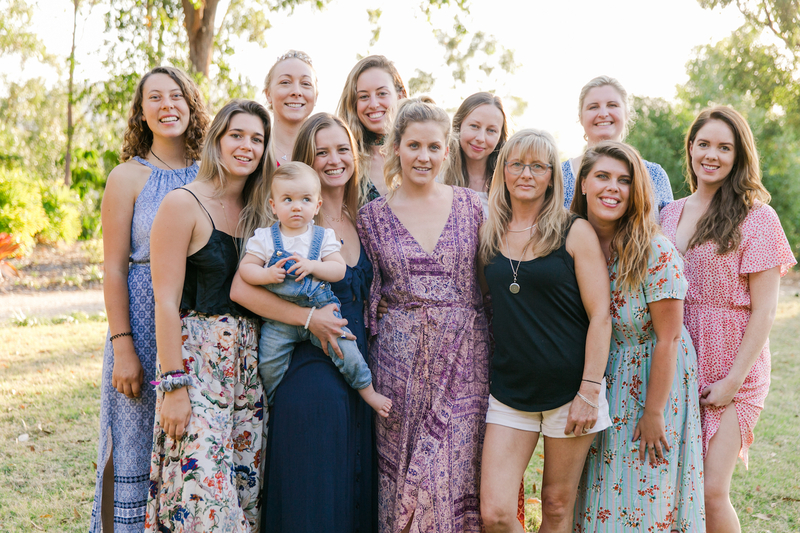 My heart wanted to burst with gratitude for the amazing women I’m blessed to have in my life, and the energetic ripples from the circle helped me navigate through that pre-wedding week feeling more present and supported than I ever could have imagined. 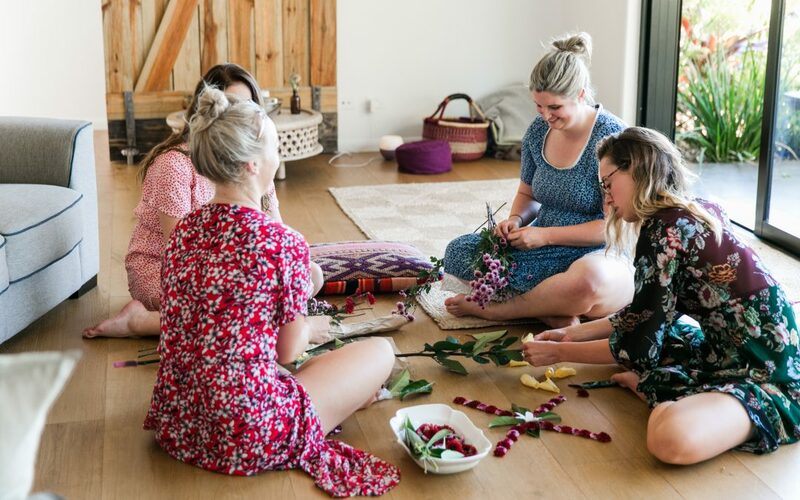 If you’re near the Gold Coast, and want someone to host a blessing circle for a mama-to-be or bride, get in touch. 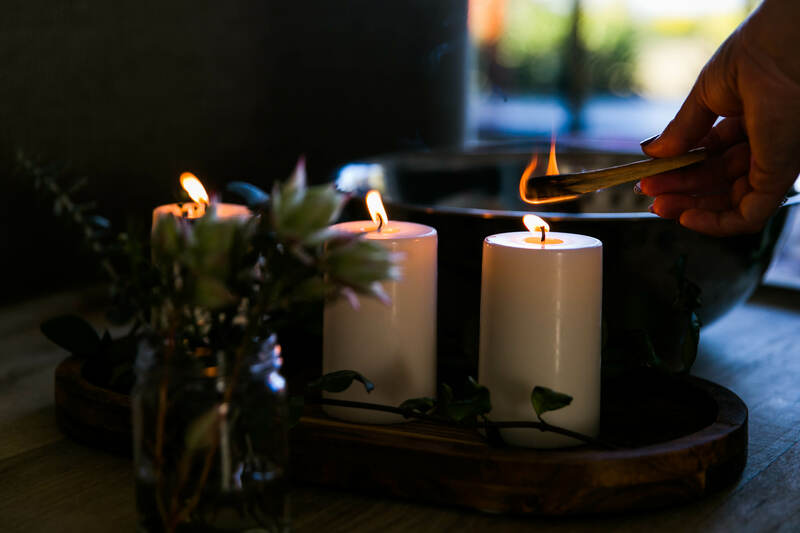 I’d love to hold space for your sacred celebration.